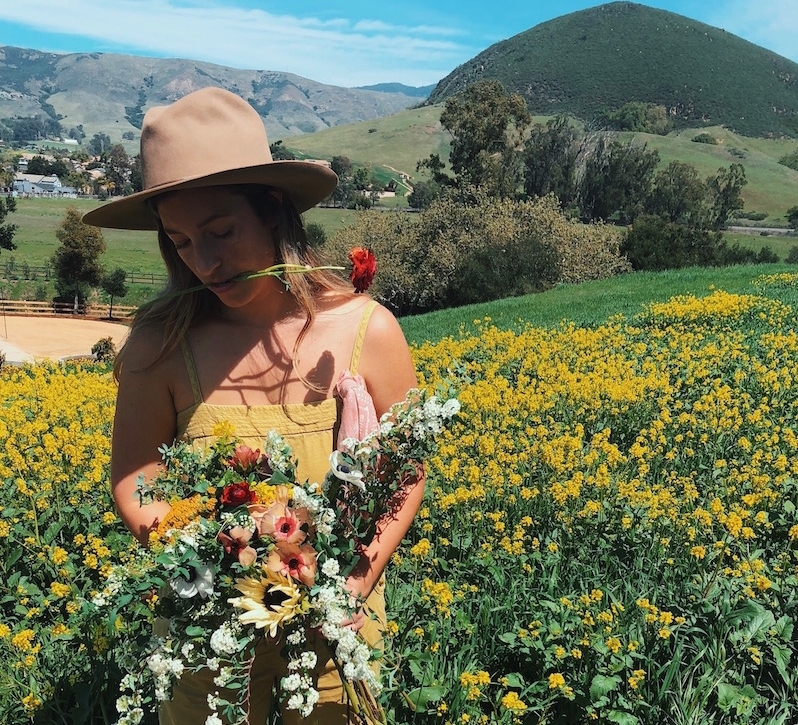 We are Southern California natives, best friends and mamas who are true Wildflowers at heart. We believe flowers and plants can change the mood, energy and light of a room and for that reason we incorporate all kinds of fauna and flora into our own homes and gardens. After taking the professional plunge into florals in 2015- we have completely fallen in love with the industry, creativity, challenges and each individual flower we get to handle. The rewarding task of filling a bride's eyes with tears is what keeps us moving forward with goals to grow, expand and find new challenges while keeping our brand progressive and unique. Wildflowers Floral Design strives to create unique, personal and bespoke arrangements for all types of events. Our style and designs focus on showcasing both flowers and foliage in a natural way; mimicking their natural growth patten and organically assembling bouquets and arrangements that look like they've been swept up from a field of flowers. Using locally sourced growers and suppliers, we pride ourselves on practicing excellent business ethics from start to finish. We understand the environmental impact that our profession may have and we do our best to reduce water, recycle scraps and even compost to ensure we are staying mindful of our natural resources. Our planning and design process is very easy and we are at your side from start to finish. From our initial meeting to the big day, we will guide you through the planning process and design details with total transparency. Though flowers are at the forefront of our work, we have been instrumental in providing other design details of weddings including lighting, linens, vendor suggestions, coordinating and more at no additional cost. Our brides are more than just are clients, they are our friends. Interested in using Wildflowers Floral Design for your next event? Send us an email.